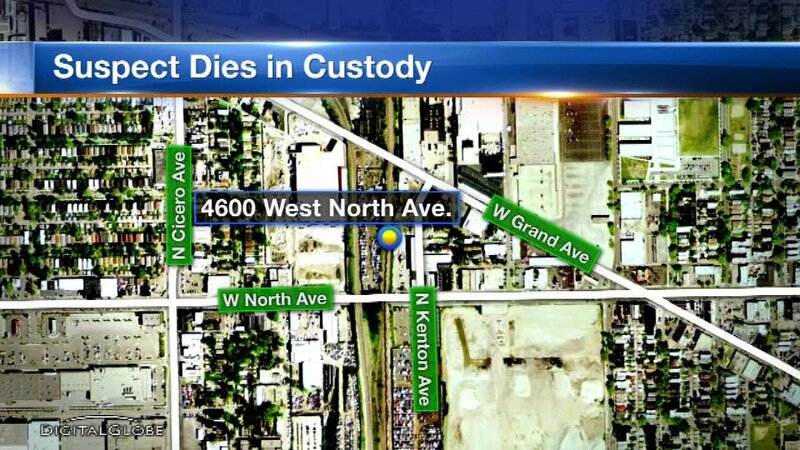 CHICAGO (WLS) -- A suspected thief arrested at a Walmart in Chicago's Hermosa neighborhood died Tuesday while in police custody. Officers responded around 4:30 p.m. to a report of battery in progress at a Walmart in the 4600-block of West North Avenue. Two people were allegedly trying return stolen merchandise at the store. Security officers caught and held the suspects until police arrived. When they got there, police said the handcuffed male suspect appeared to be experiencing a health issue. The officers called for EMS and he was taken into custody. The man was transported to Norwegian American Hospital, where he died. The suspect was identified as Donnell J. Burns, 23, of the 2700-block of West Harrison Street, the Cook County Medical Examiner's Office said. Investigators later learned he had taken narcotics. Veronica Calhoun, 30, of Broadview, was also arrested at the scene, police said. She was charged with misdemeanor retail theft.